Gopinath Dutt Parisar in Chandkheda, Gandhinagar & Sabarmati by Gopinath Developers is a residential project. The size of the APARTMENT ranges in between 2765 sq.ft. and 3407 sq.ft. Gopinath Dutt Parisar price ranges from Rs. Rs. 2.99 Lacs to Rs. Rs. 2.99 Lacs. Gopinath Dutt Parisar offers facilities such as Lift.It is a Gated society. This is a RERA registered project with registration number PR/GJ/AHMEDABAD/AHMEDABADCITY/AUDA/MAA02109/22. It is an under construction project with possession offered in Mar 2020. The project is spread over a total area of 1.06 acres of land. It has 62% of open space. Gopinath Dutt Parisar has a total of 5 towers. The construction is of 7 floors. An accommodation of 126 units has been provided. You can find Gopinath Dutt Parisar price list on 99acres.com. The real estate market of Gandhinagar & Sabarmati shows positivity with increasing demands from buyers and supply from developers. With improving physical infrastructure that better connects the micro-markets of the city, Gandhinagar & Sabarmati has seen a positive impact on the realty market. Other factors that support the real estate of this city are presence of excellent healthcare centers, educational institutes and recreational centers in almost every part of the city. Where is Gopinath Dutt Parisar located? The project is located in Chandkheda, Gandhinagar & Sabarmati. What apartment sizes are available in Gopinath Dutt Parisar? The project offers apartments sized 573.0 sqft. What is the 2 bedroom size in Gopinath Dutt Parisar? 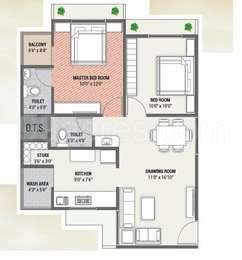 2 BHK units in the project are available in a size of 573.0 sqft. What is the area of Gopinath Dutt Parisar?The total area that the project occupies is 1.06 Acres. 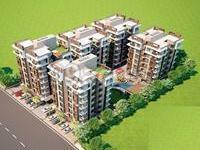 What is total price of 2 bhk in Gopinath Dutt Parisar? The price of 2 BHK units in the project is Rs. 2999565. What is the existing price in Gopinath Dutt Parisar? Apartments in the project are priced at Rs. 2999565. ELCB and MCB provision for maximum safety.